“NESC was already on board on this PA project [The Crossings at Marshalls Creek] when I became involved during due diligence and design. My initial concerns with NESC as an unknown resource were quickly offset by NESC’s knowledge of the site, their existing relationships with the municipalities, and their ability to help us solve early budget and schedule challenges prior to construction. As the project moved toward a fast-track approach we were faced with the decision to contract directly with a site contractor to meet overall schedule demands. NESC proved to be a great choice for site construction and performed well under some trying circumstances related to unforeseen conditions, extreme weather, and changes in scope. 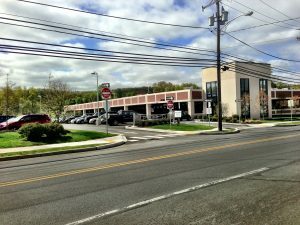 “I would like to take a moment to show my appreciation for the work completed at both the Pocono Medical Center Central Utility Building (CUB) and the Pocono Medical Center Commuter Parking Deck. We decided to utilize your company’s assets and skills first based on the excellent recommendation given to us by the hospital’s staff and also based on the competitive pricing provided during the bidding phase of the CUB project. The changing conditions with the site work were no match for you company’s fluidity and ability to make quick adaptation to a very difficult project. Your company’s attention to detail, safety and organization at the CUB project led us to look to you for the site work portion of the Parking Deck project also. The timely fashion and the skilled labor that you implemented on this project were second to none. This was by far one of the cleanest sites we have worked on making all subsequent subcontractor duties that much more productive allowing for a tightly scheduled project to be completed on time despite the lag in the project start due to permitting.